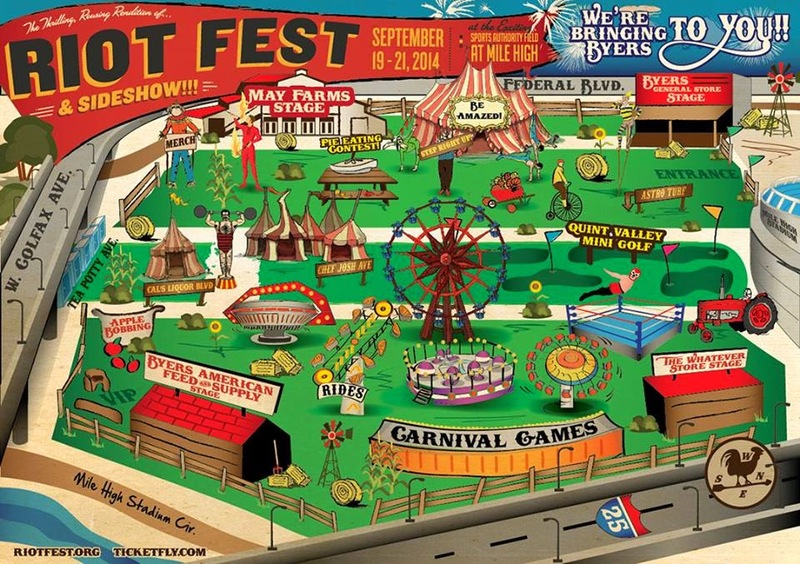 Colfax Avenue: Riot Fest coming to Colfax! We have a new venue!!! Riot Fest & Sideshow, some people didn't want YOU or US in their town. Since we were forced to move Riot Fest away from its inaugural home in Byers, CO, we are bringing Byers to you at Sports Authority Field at Mile High Stadium in downtown Denver on Sept. 19-21st. Thank you Riot Fest fans and family for being patient this past week and thank you for standing alongside us. And even though Riot Fest will be at Mile High Stadium this year, we have officially filed an appeal with Arapahoe County as of this morning because we know we are right. All tickets will be honored at the new location and refunds for those who purchased camping spots will be forthcoming.